I spent my entire professional life as a social worker/psychotherapist listening to my client’s struggles, their questions, and feelings. Through it all, in every hour, with each person or persons, I learned that empathy for another, understanding of another, came from mindful attention to the details of another’s life. Without empathy, I could not imagine the dilemma of others; I could not think through what it would be like to lose a mom at eight years old, to be a first time mom and deliver a stillborn child, to carry on in spite of losing a job to a younger person. Perhaps, that is why, no matter how hard I try to move away from the subject of President Trump’s personality and leadership style, to consider and write about other subjects, I return to his influence on the mood and lifestyle of our country. His war mongering speech at the United Nations, his name-calling tweets and bullying threats days after Hurricane Irma’s shattering strike reek of empathic-deficit leadership. Okay, that is the reality; but how does one live with gratitude and hope in the face of such astonishing and aggrandizing tone-deaf leadership? I have concluded that each of us must do our part, the best we can. Individual efforts, actions grounded in empathy, can and do make a difference. 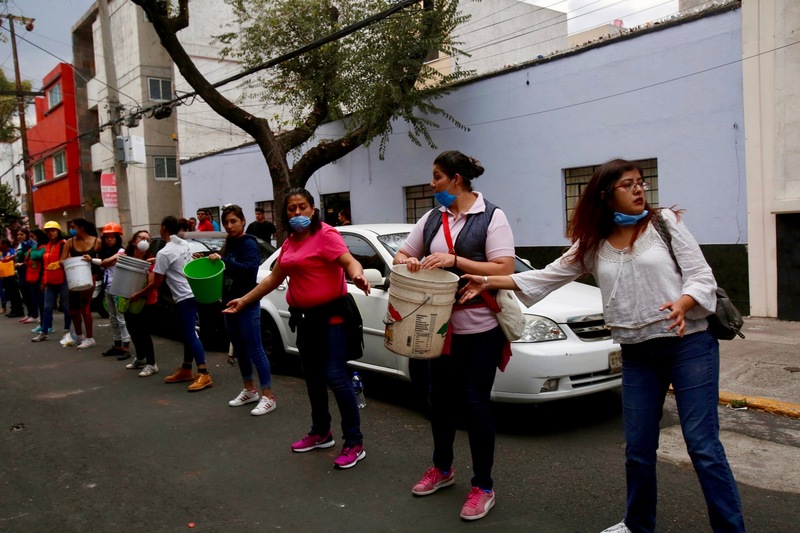 I was transfixed by CNN and MSNBC’s empathic reportage of the Mexican earthquake, the lines of volunteers of all ages outside buildings, a decimated school, passing buckets of debris, energized by care, hoping to rescue adults and children from the crush of burial. I watched images of rescue operations— electrical workers checking gear, loading trucks from sites all over our country readying to travel to Florida to help remedy thousands of outages. When I think of the networks attending to the detail of reportage, the camera crews on site, the reporters dressed in tall boots and rain gear sending out image after image, I am grateful for the details of efforts to rescue. Yes, it rained a bit here and as it turned out, more than a bit in my home where water seeped into our solarium (once again) where windows open to sky and trees gave way to the pressure of an all night tropical storm, the after effects of Hurricane Jose on the East coast. I am grateful for an immediate response from Mike, a home team helper, whose attention to and knowledge of details traced the source and helped set the stage for repair. In some way, we are all responsible for repair. It is in the seeking of ways to help, in the interest of others, to extend beyond ourselves, each in our own way, that will help right the imbalance in empathy. This day, I am grateful to readers of this blog; you inspire me to extend into difficult-to-articulate areas and to connect through writing. Please comment and share your own experience on this topic. This entry was posted in Creativity, Currents, Happiness, Mindfulness, Politics, Relationship(s), Uncategorized, Well-Being, Writing and tagged bucket brigade, earthquake volunteers, empathic action, empathic deficiency on September 25, 2017 by fayewriter.